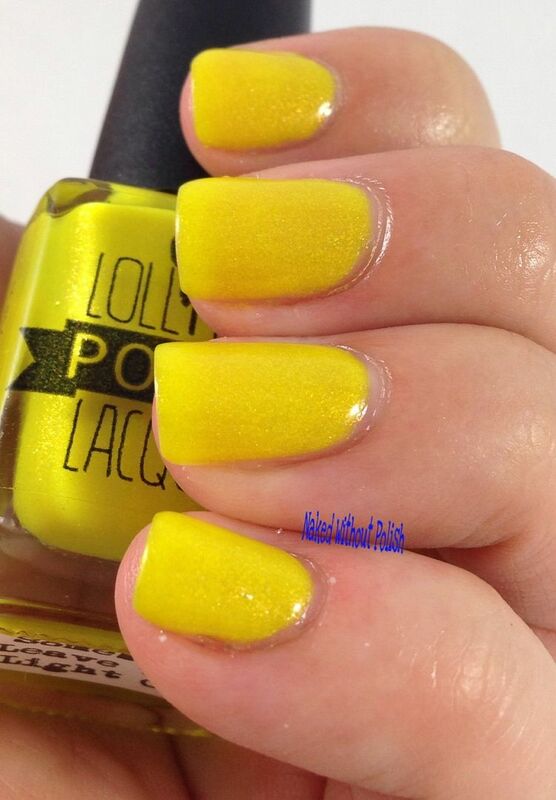 Dancing dancing girl and when I dance for him/ Somebody leave the light on just in case/ I like the dancing/ I can remember where I come from"
Somebody Leave the Light On is a daffodil yellow jelly filled with iridescent flakes and a slight holo shimmer. 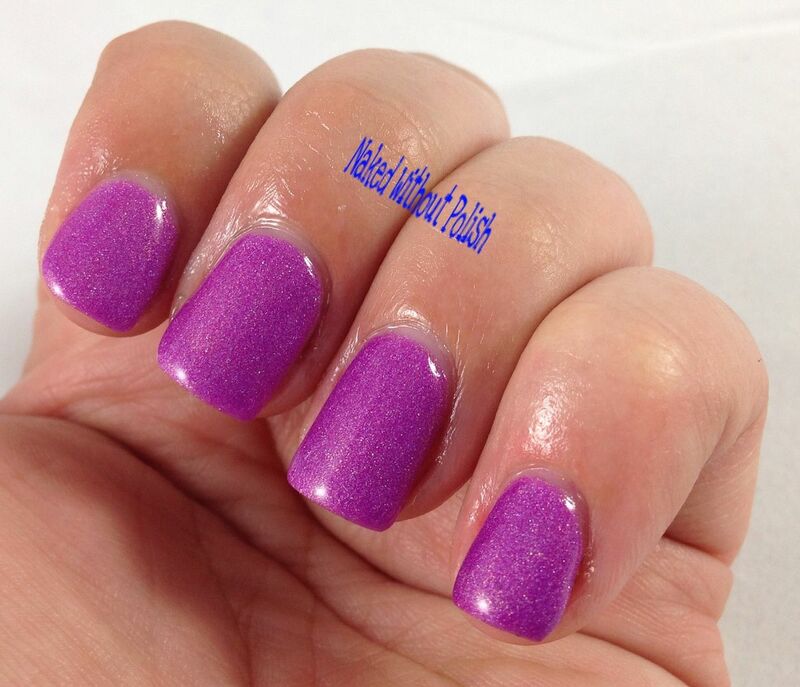 Shown is three coats of Somebody Leave the Light On for full opacity. Yellow is such an iffy color, but Somebody Leave the Light On is one you're going to be running for. 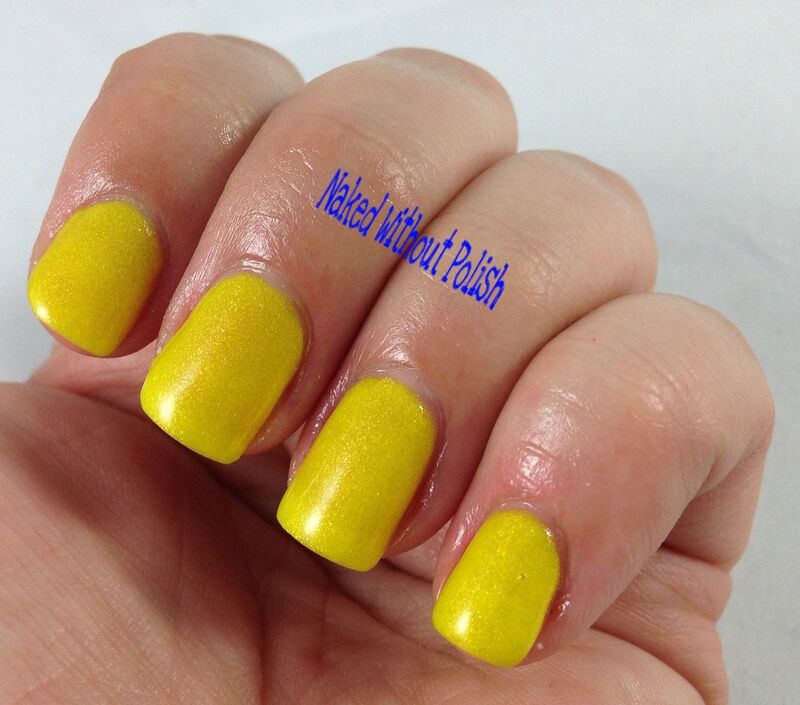 This color is great for any skin tone. Centuries secret societies/ He's our commander still, space dog"
Way to Go, Mr. 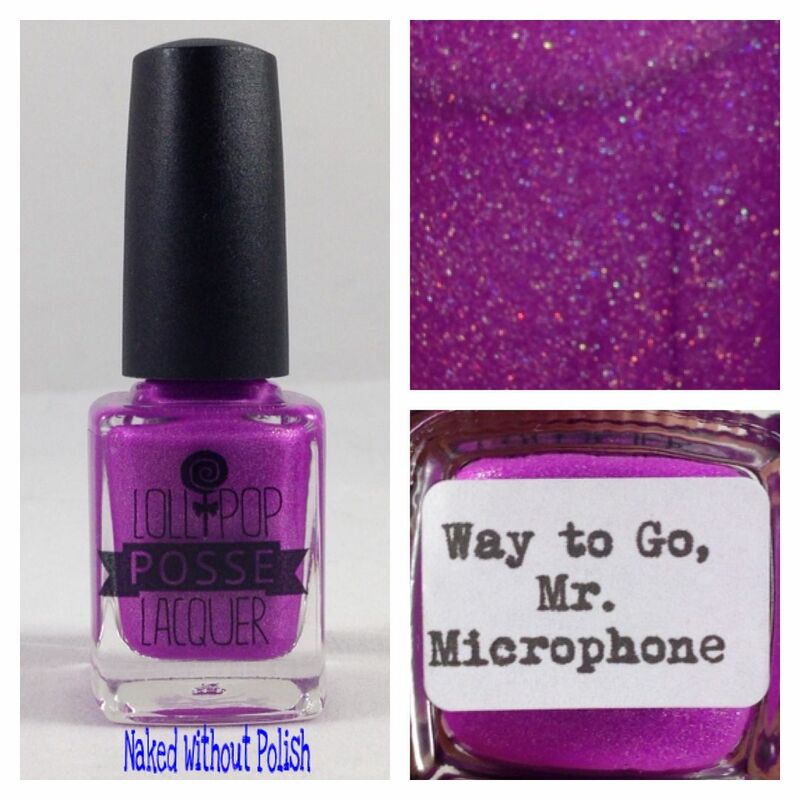 Microphone is a vibrant orchid purple crelly with linear holo and a hint of gold shimmer. Shown is three coats of Way to Go, Mr. Microphone. 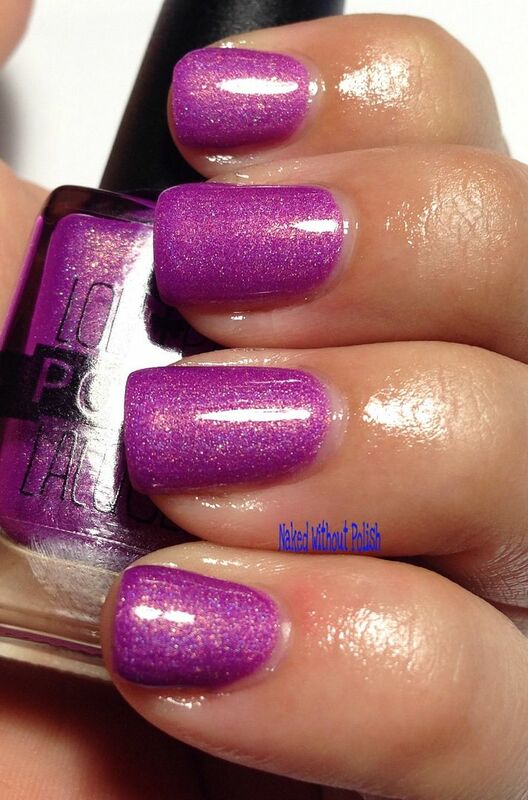 I don't know anyone who can say no to a good purple polish. Way to Go, Mr. Microphone is one of those polishes that just mesmerizes you. 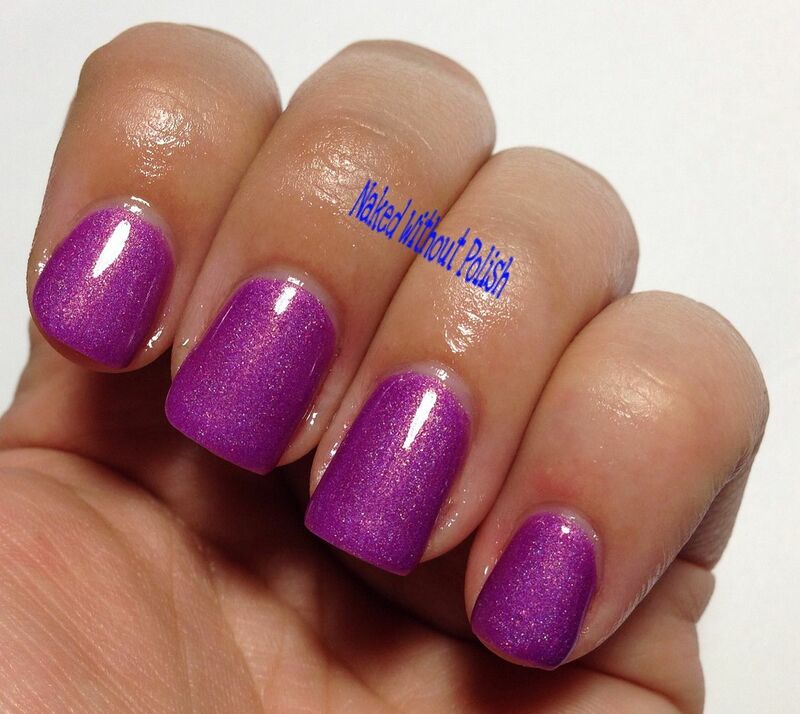 From it's buttery application, to it's vibrant color, this beauty is sure to be a go to purple for anyone who gets it. 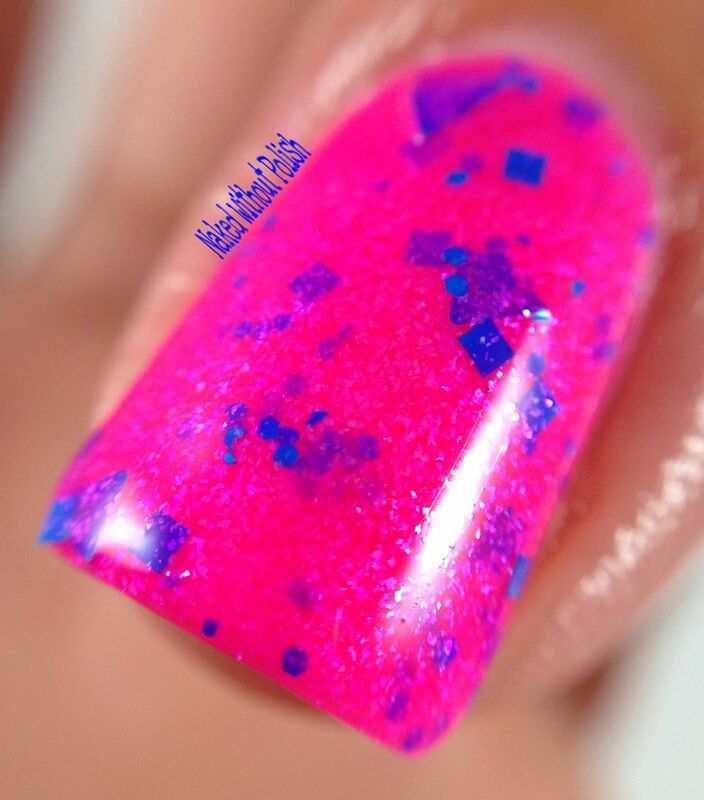 Everybody knows/ I'm her man"
Boys Can't Be Men is a vibrant neon pink crelly filled with iridescent blue micro flakes and matte blue triangle and hex glitter. 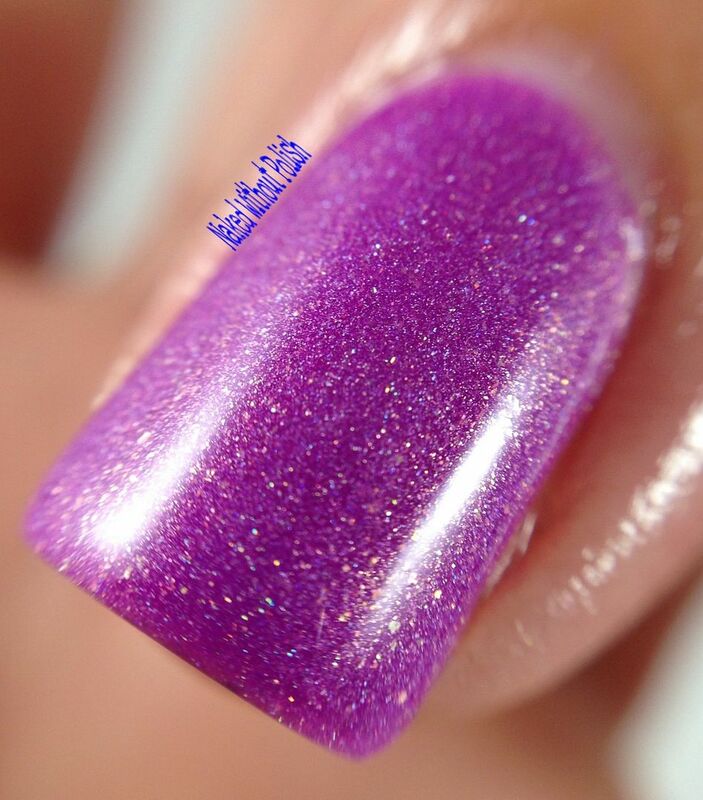 Shown is three coats of Boys Can't Be Men. 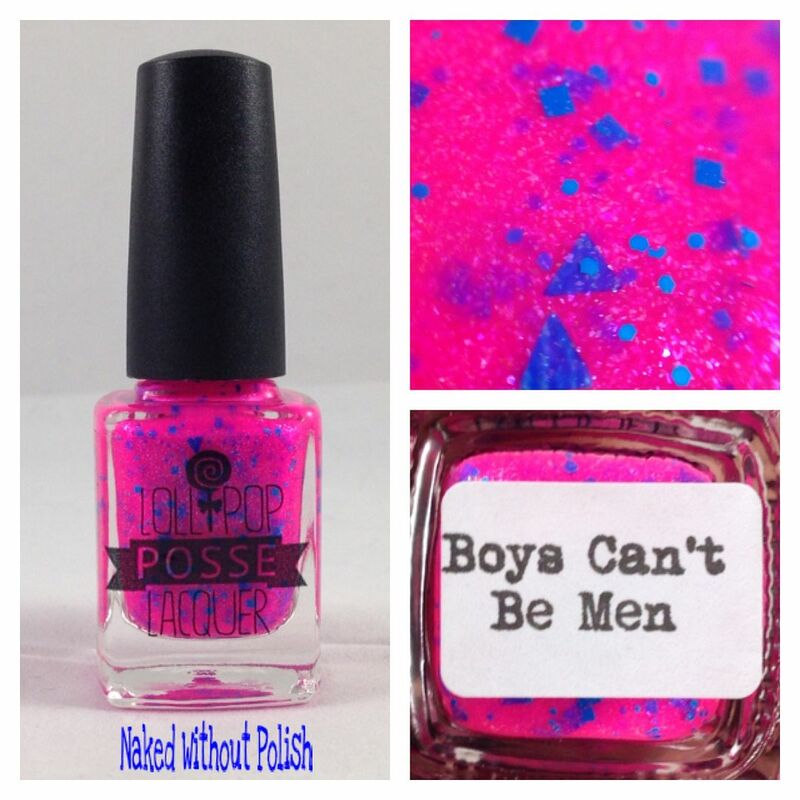 My absolute favorite from the three that I received, Boys Can't Be Men is an absolute must have polish for everything. The application was spot on, but the color is amazing. 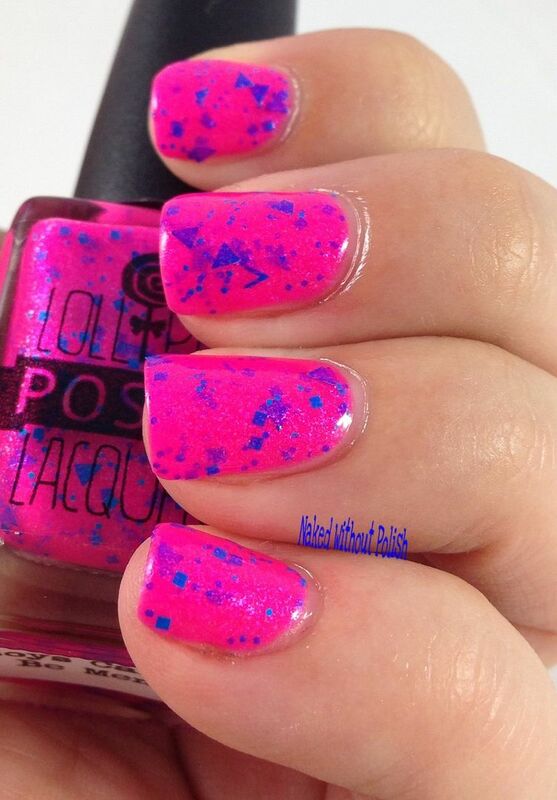 Everything about this pink polish is perfection. Can't find a single flaw. I've only shown you 3 from the 8 piece Dancing Girl Collection. If you would like to see the other 5, Cosmetic Sanctuary has the whole collection on her blog HERE. Overall, Karen knocked it out of the park with her freshman collection. Dancing Girl Collection is fun and playful and well rounded. It's everything you could want in a collection. 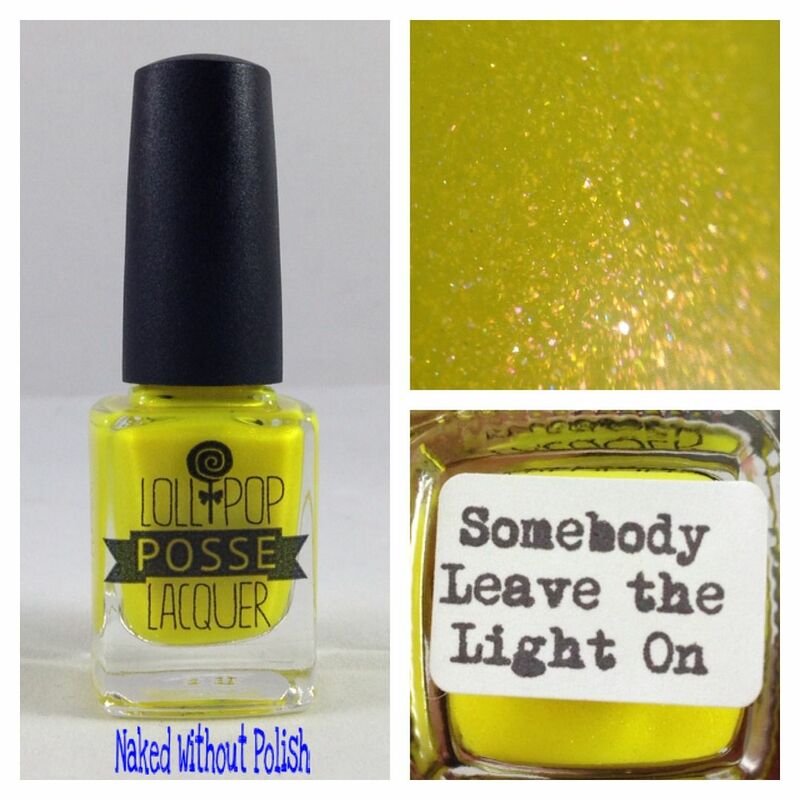 I see big things ahead for Lollipop Posse Lacquer so keep an eye on her. You'll definitely be hearing about her more and more. 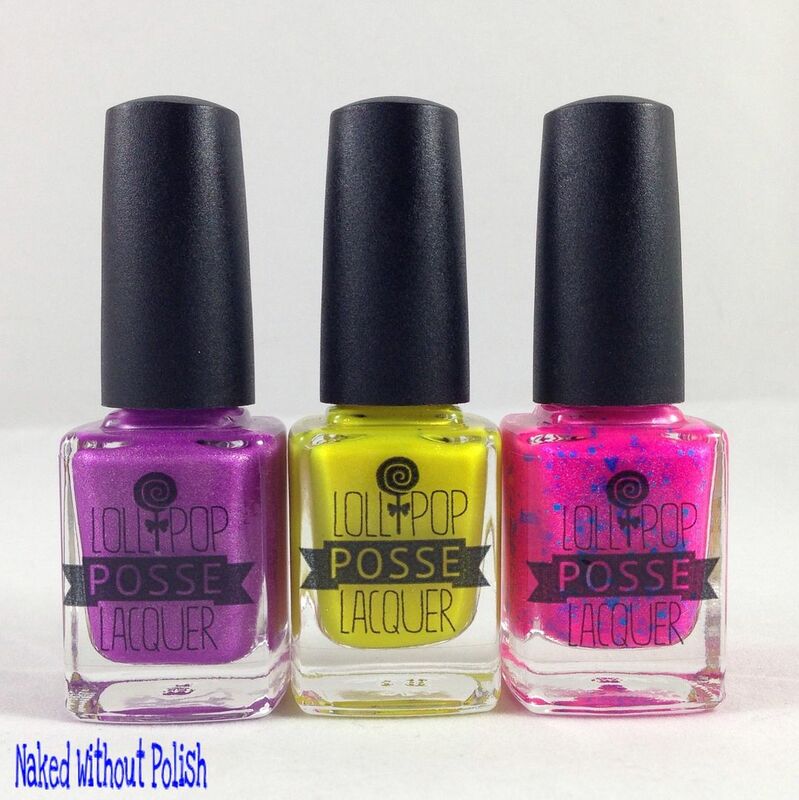 Each polish in this collection is $9.50, but the whole collection will be available for $70. Check out her shop and links below. 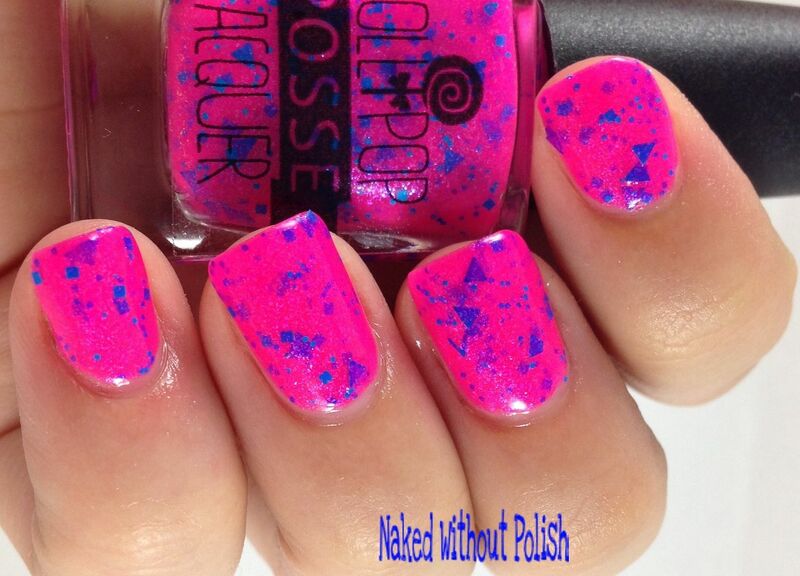 If you can't wait for the full release on Friday May 23rd, there is one polish available, She's A Beauty Queen. 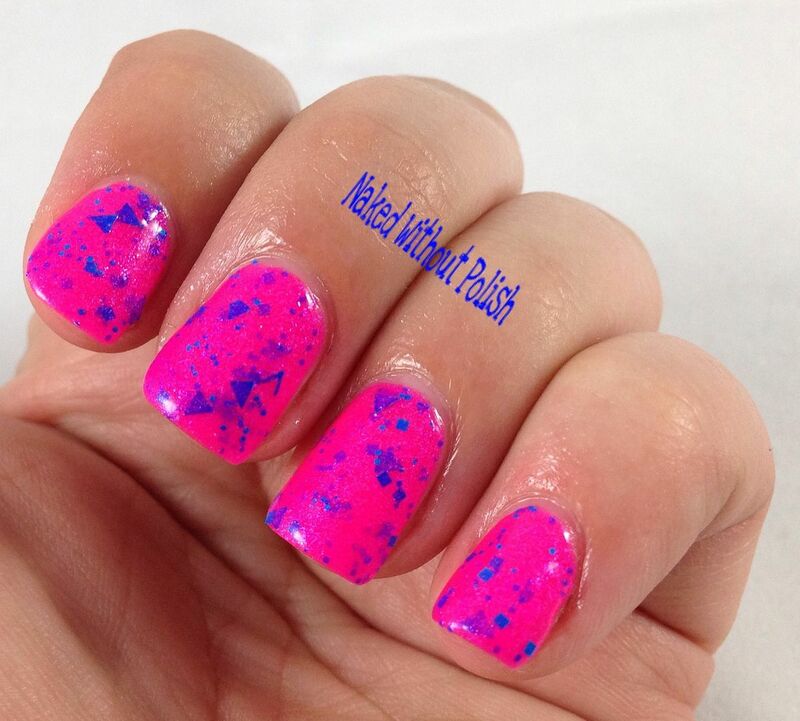 It is a polish to honor a very special girl, you can read more about it and her on her Facebook page. What do you think of this collection? Any must haves for you?